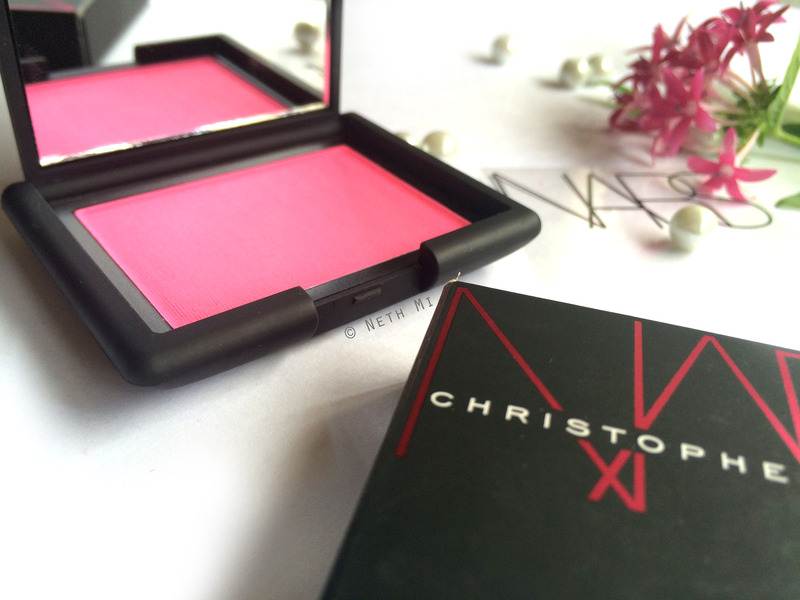 NARS Christopher Kane Blush: Starscape helps you escape to the stars of the makeup universe! I’m actually an eyeshadow-girl, but I have so much of eyeshadow, I sometimes even forget what I have, plus I was on a budget, so I decided to buy only Starscape because it was calling my name!! 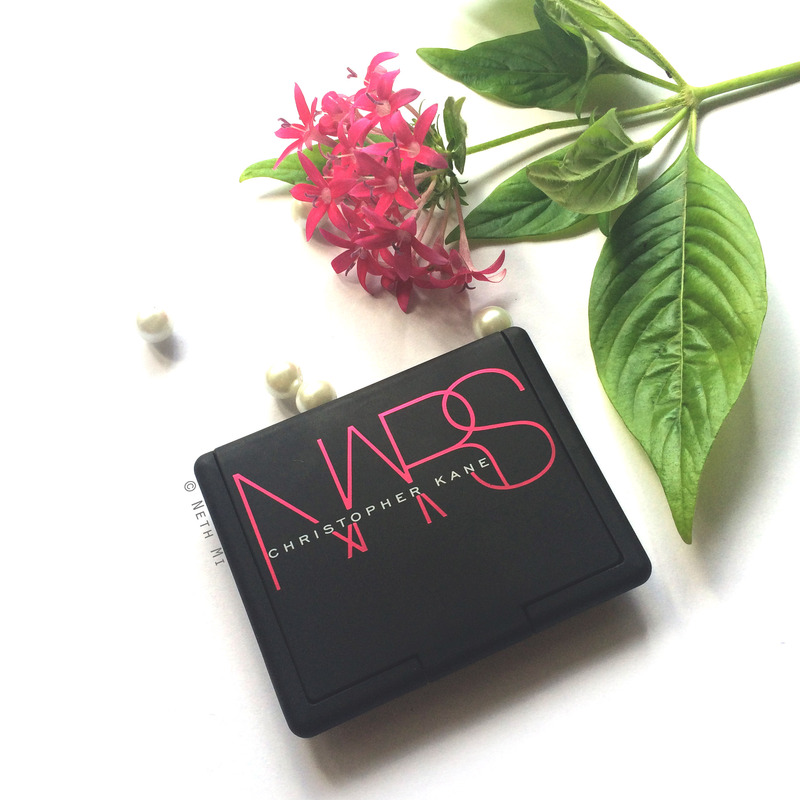 NARS is a brand that hardly changes the packaging, but I like it as it is, because it is a no-nonsense brand that has excellent quality products that you really don’t care about the boring black rubbery packaging with the minimalistic branding. The packaging on this collection has the same black rubber but the letters are in metallic fuchsia, which I think is a good change without going overboard. Now, this is an intimidating shade, isn’t it? But the specialty about NARS is that all of their products (almost every product I’ve tried) are pretty easy to work with, and they last a long, long time. 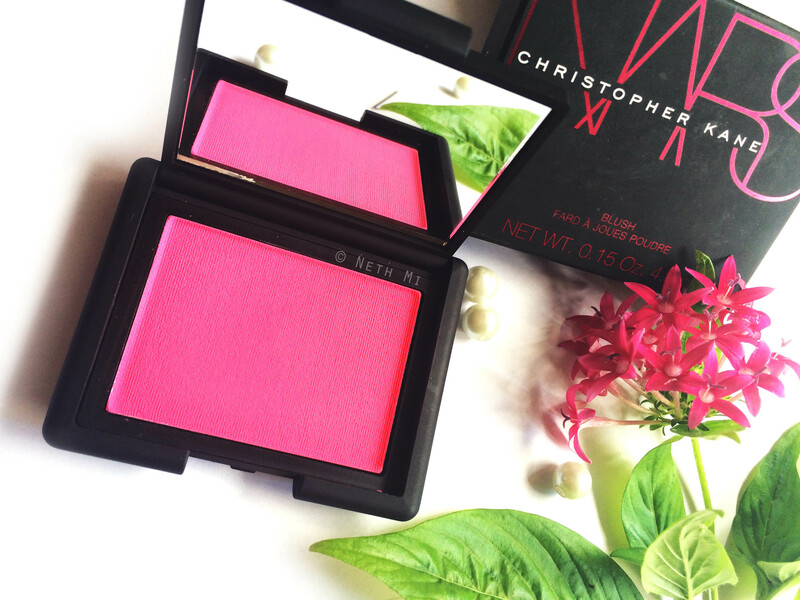 This blush is surprisingly wearable. Let me show you! Consistency: Finely milled powder with brilliant pigmentation. 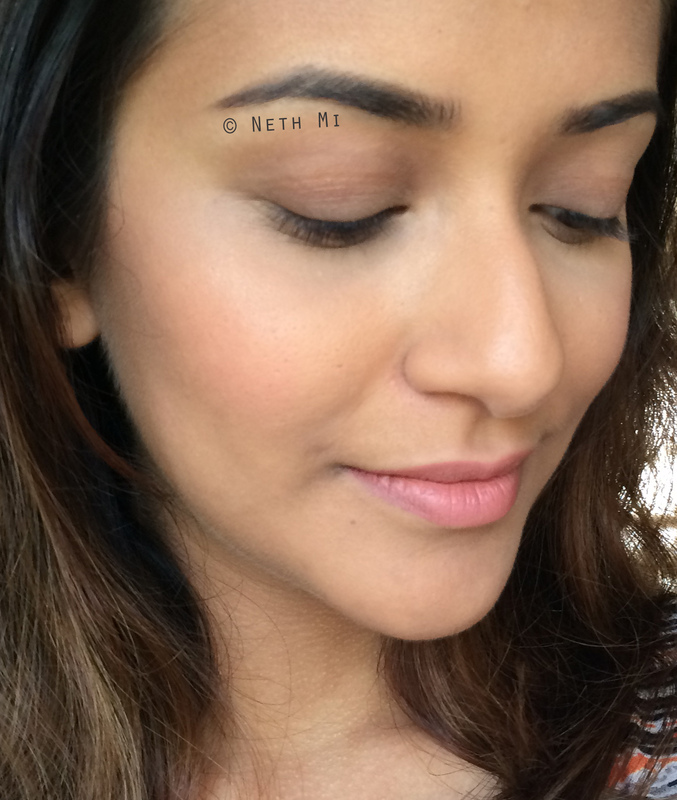 This is a matte blush and it doesn’t fade until about 6-7 hours of application. Is it worth the price? Yes. This is such a unique colour that’s kinda intimidating at first sight, but works as fine as any other good high-end blush. Is it a must-have? If you are a collector, YES! If you love only high-end makeup, YES! 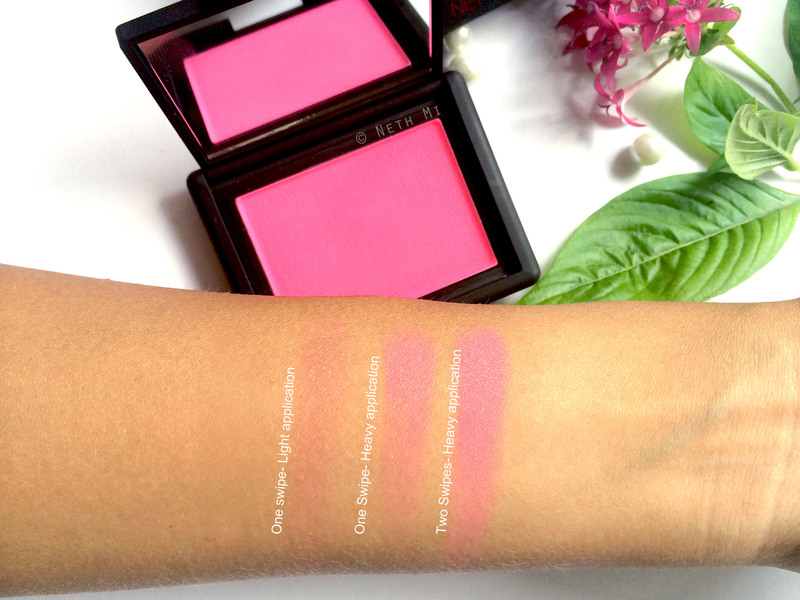 If you buy only drugstore products and you’re on a budget, you may want to consider this because it’s guaranteed that this blush will never run out of product as you need a teeny bit for application. It has good value for the price, but I leave it up to you if you are on a budget. The other products on this collection are worth checking out too… I didn’t have much time to spend at Sephora as I was on a tour, but I loved the 4 lip glosses, particularly Mezmer. Don’t forget to check Outer Limits (a beautiful iridescent rose gold) and Parallel Universe (Iridescent pink lilac & soft violet) if you love eyeshadow. They are highly pigmented and super duper shiny! Have you bought any thing from this collection?